I'm relatively new to airsoft although I already hold an UKARA license. I'm into Sniper rifles and I'd like to know which ones in your opinion are the most reliable, precise (powerful?) and fun to use. My favourite real-life sniper is the Cheytac M200 Intervention so anything looking and operating in a similar manner (bolt action + mag) is desired! TM VSR 10, is the go to sniper package for most people, very easy to take apart and thus upgrade (i have one my self). JG and CYMA make good clones of the VSR aswell which are just as good if youre upgrading. Honestly it's not worth getting an airsoft version of the CheyTac M200. Big, expensive and the airsoft versions are made by some pretty poor manufacturers. TM VSR10 would be your best bet, with A&K sniper rifles such as their SVD and M24 in close second. Maybe a a Warrior L96 if you want to have a go at extensive upgrading. Edit: I found an article on the MS and apparently they are not worth it.. Thanks. JG bar 10 is a better option. TM VSR needs more parts replaced as they started crimping the cylinders,meaning you will also need a new cylinder and head in addition to the internals. The stock finish is rubberized with what feels like cheap car interior paint,as opposed to the matte finish on the TM but they both come off pretty easily and you will usually end up with the standard shiny abs after a few skirmishes anyway. Sniper rifles are only as good as you build them. No point in big and heavy replicas like the M200. The simpler the better IMO. Maruzen APS2/APS type 96 and VSR 10 clones are the best. PDi,Action army,Laylax and AirsoftPro are generally the go to for parts. PDi make excellent barrels. Action army have a fantastic hop up chamber. Laylax are a bit behind them and on the pricey side but solid non the less. Note for PDi Parts you will need the 'bore up' pistons and spring guides as they make parts to their own spec. Their website is also hilariously outdated too and a bit hard to navigate. AirsoftPro make a lot of cheap bang for buck parts,as do action army. Honestly, if you get a cheap trigger and piston set from them you won't lose out to someone with a full PDi rifle. There are a ton of DIY mods you can do too if you want to stay on the cheap,like the TDC mod. If you have the money though deffo go for parts. Only thing i'd reccomend you DIY are barrel spacers since they're a rip off from the parts guys. Just roll some masking tape around your barrel to make cylindrical spacers. Aren't the WA2000s basically collectors rifles these days? I've only ever seen one and it was ancient. As for the other two, if they're the ones with realistic mag placement my advise would be to avoid them like the plague because they're the most insanely overpriced, unreliable piles of crapola in the known universe. Sniping you want something simple that's hard to screw up. Judging from your post your experience with sniper rifles is from movies / games. If that's correct then don't start airsoft with a bolt action rifle, you will be greatly disappointed. Start with an AEG and if you are into sniping, get a scope and use single shot, placing shots 1-2 seconds apart. If that works out for you then get a sniper rifle. You will be able to buy almost new ones from beginners who sell it after the first skirmish. There seems to be a disconnect in this thread because the OP is coming at the subject based on what rifles he likes from a non- Airsoft point of view. Most of the responders, being airsofters are being practical in terms of what is reliable and works. Largely the answers are different. Decide whether you want to be a collector of a specific rifle that can be used for airsofting or whether you want to be a good sniper. Does it matter to you that you will never be a hot sniper - is it more important to own a cool looking rifle ? Another route as suggested by Samurai is going the DMR path. P.S. 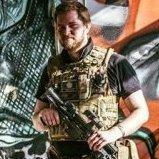 as you are new to airsoft and maybe didnt grasp the jokes, they are taking the p*ss because its a UKARA defence not a licence - you just have a number to denote you meet the criteria for retailers to sell you RIFs.